In my line of job, I always abuse my hands from making gazillion wire art orders. My feet ang pumapangalawa sa abuse (hindi nalalayo!) because they take me to places ng commute! I guess now is the perfect time to spoil them. Loving the graphics prints all over their walls, and the flat screen TVs on both sides of the salon. 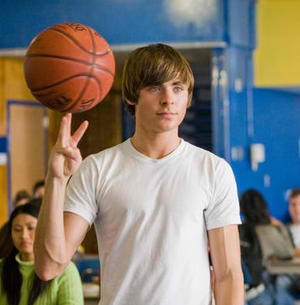 Watched Zac Efron's Seventeen Again during my 2-hour treatment. The one and only movie for me na ang pogi lang talaga nitong Efron kid. Lol. I also find it cool that everything is installed na for every station: May sariling seat na for the Buttercups, throw pillows, low sinks for foot spa (not the usual separate de-saksak nanginginig na tubs), foam covers pag pedicure lang, and hot/cold water source for each sink. Another Orly product: Sparitual. I chose my nail color from this collection dahil I got attracted with its Vegan feature. Hindi daw nakaka yellow ng nails! For a different, but still oh so sweet, kind of date why not skip the usual movie/dinner combo and head to Beauty and Butter for some quality bonding time. Treat yourself and your loved one to a “LOVER’S PARADISO” package. A total pampering session complete with manicure, pedicure, and a foot spa FOR TWO! The moisture intensive foot spa paradiso is sure to leave your soles soft and smooth, playing footsies under the sheets sure can’t be helped. Set yourself up for a night of bliss, book the Lover’s Paradiso package for only P1500 per couple. Take note, hindi kailangang mag-jowa talaga. You can go there and treat (or ikaw magpa treat, lol) your mom, sister, or your BFF! :) Meaning, the Lover's Paradiso is for jsut about any pair! Aside from surfing and playing, I also took lots of time choosing what color I'll have for my nails. Ang dami! Also thought of getting Street Smart, but I ended up with GOLD DIGGER! :) Because I'm a Golden Girl! Lol. They also have Hand Dryers! Shelves of good beauty products for sale! Check out their affordable rates! I love that they are more than just a nail salon---They also have full-body massages, scrubs, waxing services, facials, and more! Thank you Beauty and Butter! I want this!!! Ill try this SOON! A best foot massager spa therapy can complement the healing process by stretching and relaxing muscles that have been aggravated by these structural problems, making it easier for you to stretch and exercise, and thus more quickly achieve a state of normal well-being.